Yesterday I posted that the first goal that Jesus accomplished when He set out to develop catalytic leaders was for them to connect relationally with himself and one another. His second goal was to provide opportunities for spiritual growth. As the disciples lived in the shadow of Jesus for three years they heard Jesus teach many things. While his content focused on the fulfillment of the Hebrew Scriptures and life in the Kingdom of God, the most important factor in their growth and development was that they were in close proximity to him. Close proximity is the means by which our knowledge of Christ becomes experience with Christ. The final goal for this small group was for them to serve graciously. He promised the disciples on the front end of their commitment that they would be authorized and sent to be his incarnational presence in the world. The three years they would spend in his shadow would provide the necessary equipping they would need to accomplish everything he desired to accomplish. And fortunately for us, they embraced their sentness and carried the gospel forward to the end of the first century. Jesus called the disciples to come to the mountain. But mountain top experiences are a means to an end. Jesus called them to the mountain so He could send them back to the valley where the work is done. Your best avenue for growth is not worship attendance nor is it private study, although those activities are good and necessary. It’s found in community where you can connect relationally, grow spiritually, and serve graciously. Jesus is calling you to the mountain. He’s calling others to go with you. And as His work in you matures He’ll send you and your fellow disciples back down the mountain to the valley where the pressing crowds of broken people are waiting. “Afterward Jesus went up on a mountain and called out the ones he wanted to go with him. And they came to him. Then he appointed twelve of them and called them his apostles. They were to accompany him, and he would send them out to preach, giving them authority to cast out demons. These are the twelve he chose: Simon (whom he named Peter), James and John (the sons of Zebedee, but Jesus nicknamed them “Sons of Thunder”), Andrew, Philip, Bartholomew, Matthew, Thomas, James (son of Alphaeus), Thaddaeus, Simon (the zealotd), and Judas Iscariot (who later betrayed him)” (Mark 3:13-19, NLT). As I have already mentioned, Jesus never had a problem attracting crowds. In fact, the previous paragraph in Mark 3 reports that the crowd was so large it forced Jesus to get into a boat a push away from the shore just to provide a little cushion for him to speak. I find it fascinating, however, that Jesus didn’t try to organize the crowd to implement the Kingdom. He opted to select 12 who would accompany him to the top of the mountain. Jesus had three goals for the 12 who agreed to take on the mantle of discipleship. First, Jesus wanted to help them to connect relationally with himself and with each other. Connecting relationally is an important part of our personal growth and spiritual development. Connecting with God would appear to be a bit obvious and probably doesn’t need a lot of explanation. Jesus values anytime we connect with him, and placed that as priority in his rationale for calling the group together. But the value of connecting with others is a critical dynamic that is often over looked. We have been designed by God to grow, and our best opportunity for growth occurs in the fertile soil of community. The meaningful relationships that are developed in a small group dynamic trump the shallow offerings of the big crowd and provide balance that we do not find when in isolation. The problem with connecting relationally is that relationships can be messy. Think about the people Jesus selected. There was Peter who could be characterized as outspoken and brash. Then James and John, the “Sons of Thunder,” nicknamed as such because of their quick tempers. Simon was a zealot, meaning he was an activist who was willing to shed blood for his convictions. And there at the end of the list is Judas Iscariot who betrayed Jesus for the price of a common household slave. Jesus didn’t pick the easy, compliant people to join his group. Jesus picked messy people who He believed had the potential to change the world. When my wife and I were getting ready to get married, my father gave us a bit of brilliant advice about marriage that I’ll never forget. He said, “If two people are near enough alike that they never disagree, then one of them is not necessary.” That’s the kind of value that relationships, difficult as they may be, add to our personal growth. If you are only willing to connect with those who you perceive to be exactly like you, then you’ll get along marvelously. But will you have balance? Will you be challenged? Will you learn to think critically and develop discernment? Will you learn to love unconditionally? Will you overcome your natural tendencies to judge? Relationships are messy because everyone is broken and fallen. And that includes you and me. Tomorrow I’ll post about the second purpose that Jesus had in creating this unique opportunity for the growth and development of his disciples. There’s something about a big crowd that is impressive. Take sporting events for example. Can you think of a professional sport that doesn’t announce “tonight’s attendance?” Or a newspaper report on a political event that doesn’t include the number of people who attended the $1,000 per plate black tie dinner? We like to count people, and we love to count lots of people. During the early part of Jesus ministry he drew crowds. Big, impressive ones at that. If Jesus were teaching today he’d be interviewed by CNN and New York Times. Church leaders would be demanding conferences, and publishers would be requesting manuscripts for the next great “how to” manual on how to draw crowds and how to effectively communicate to the crowds once they have been gathered. Jesus could attract a crowd but he knew that he wouldn’t change the world with a big crowd. Those big crowds can be fickle, and before you know it the people who shout “Hosanna” on Sunday morning can cry “Crucify!” by the end of the week. So rather than commit himself to the flash mobs, Jesus instead selected 12 men and made a three year investment in their lives. This week I’m going to write a series of posts on how participating in a small group is your best avenue for spiritual transformation. This isn’t a series putting down big churches or notable pastors. This is a series that is simply designed to argue that when you decide you want to be a catalyst for the sake of the Kingdom, your first step needs to be a small one. Last night I was teaching from 1 John 5:14-15 and shared the following about how God answers our prayers. Since it seemed helpful I thought I’d post it this morning. 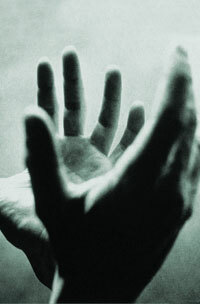 I first saw this Bill Hybels book Too Busy Not to Pray and have used it for years. It helped me understand the nature of God’s response to my requests and had a positive impact on my personal prayer life. 1. Sometimes God says “NO” to our requests because the request is wrong (2 Corinthians 12:8). 2. Sometimes God says “SLOW” to our requests because the timing is wrong (John 11:1-6; Isaiah 30:18). 3. Sometimes God says “GROW” to our requests because we need to mature or are in the wrong spiritual condition (James 4:2-3). 4. When the request is right, the timing is right, and we are “right,” God then says “GO”, or yes to our requests. Every day we make difficult decisions that involve trusting others with the things and the people we value the most. We select banks based on our trust that our deposits will be secure. We select preschools and daycare centers that we trust will keep our children as safe as possible. We select doctors and medical professionals based on our trust that they will thoroughly care for our physical health and accurately detect, diagnose and treat any issues as early as possible. The apostle Paul gave Timothy a process for developing emerging leaders. From 2 Timothy 2:1-2, he had already suggested that Timothy be strong in and through the grace of Christ; that he maintain the disposition of a learner; and that he make wise investments in reliable people who would take the “deposit” and pass it along to the next generation. Timothy was strongly admonished to make wise selections concerning who he was to develop as future leaders. So how does one go about qualifying those who can be developed as leaders? The next four verses of 2 Timothy 2 provide three metaphors that help Timothy’s then and now discern future leaders who need to be developed. By the time Paul wrote this letter he had spent ample time chained to soldiers in prison cells. He would have been familiar with what soldiers did and how they functioned. The word “entangled” in verse four literally means, “looking back.” It refers to one who is unable to focus or concentrate because they are easily distracted. Paul uses the metaphor of the soldier’s allegiance to describe the kind of allegiance Timothy should look for in a potential leader. Timothy was to base his selection upon this single minded allegiance. Being crystal clear on matters of allegiance is important because your allegiance to Christ will always be challenged by all other allegiances. Jesus spoke of this often, reminding his disciples with sayings such as “No one who puts their hand to the plow and looks back is worthy of my Kingdom” and “let the dead bury the dead.” When evaluating potential leaders, question one evaluates their allegiance to Christ. “Also, if anyone competes as an athlete, he is not crowned unless he competes according to the rules” (2 Timothy 2:5, HCSB). Paul is probably referring to the Isthmian Games, a first century forerunner to our modern day Olympic Games. Those who competed were required to commit to a strict training regiment of 10 months, followed by the actual competition. There were rules that governed preparation for the games and rules that governed participation in the games. Each competitor was expected to play by all of the rules all of the time and to not take any shortcuts. Preparation was as valued as the competition itself. Every potential leader needs to have allegiance to Christ that is beyond question. But each potential leader also needs to have a reputation for being faithful in all things, whether it is their private preparation or their public participation in ministry. Like many things in life, there are no shortcuts on the path to spiritual leadership. “It is the hardworking farmer who ought to be the first to get a share of the crops” (2 Timothy 2:6, HCSB). Paul’s final metaphor is the hard working farmer. If you grew up on a farm or worked on a farm you know from experience that farming is hard work. Not only is it hard work, it is hard work without immediate gratification. Whether its corn or cows, farmers continually work hard in anticipation of a later reward. Timothy was to look for potential leaders who were willing to put some sweat equity into their development. They had to have a work ethic that was mixed with a generous dose of patience because in the economy of God’s kingdom both are required to change the world. These three metaphors were given to Timothy to help him gain perspective on what “reliable” or “trustworthy” people looked like. I think its important that we learn something from these metaphors when we prepare to invest in potential leaders. I admit that these are pretty high standards. As a reader you may think that the expectations are a little too high. But let me close with a couple of questions about standards and expectations. First, are you looking for spiritual leadership or someone to fill a position? If all you’re looking for someone to fill a position in a program or to sit on some committee, then your standards can be somewhat lessened I suppose. But is church really about completing an organizational chart? Is it really reduced to staffing programs? Or is the church something more? Second, whose church is it anyway? Who really has established the standards and expectations? If it is the church of Jesus Christ, then He certainly has the right to establish high expectations and to set high standards. Sometimes I’m concerned that churches are afraid to set high expectations because we’re afraid that someone might become upset or even leave. But if Jesus is the head of the church, then church is worth doing. And if Jesus’ church is worth doing, its worth doing right. At the end of the day, someone in your community is counting on it. I think its unfortunate that many churches have turned to business models to find the “best practices” for developing leaders. I’m not against business or the practice of business. But I firmly believe that when church leaders start adopting business models instead of biblical models they become misguided and off point. If our churches are going to become serious about developing leaders for the next generation the beginning point is the New Testament. One such enlightening passage is found in 2 Timothy 2:1-6. Today I want to deal with the key elements for developing leaders and tomorrow I’ll post Paul’s words on the kind of people to pursue as potential leaders. “You, therefore, my child, be strong in the grace that is in Christ Jesus. And what you have heard from me in the presence of many witnesses, commit to faithful men who will be able to teach others also” (2 Timothy 2:1-2, HCSB). The first thing Paul told Timothy is that leadership development is the work of God’s grace. Some translations like the HCSB read “be strong IN the grace” of Christ, and others like the NLT have “be strong THROUGH the grace” of Christ. Which is right? Technically, either translation is viable and acceptable. I personally think that its both. Grace is the environment of all of God’s good work. And, grace is the means by which we do all of God’s good work. This subtle reminder eschews all external models that are applied to churches and church leadership. The church is to be as dependent upon God for its work of developing leaders for the next generation as it is for fulfilling the great commission. Leadership development begins when we recognize our humble dependence upon God’s grace. Next, Paul told Timothy the be a student. I believe the best teachers are first and foremost learners. When I was in seminary I was blessed to be associated with some outstanding professors, the best of whom stated that classroom teaching was what they had to do to support their research habit! The most engaging teachers are those who are engaged in learning. Timothy needed to realize that he had not arrived and that he couldn’t take people where he himself had not been. So Paul emphasized that Timothy remain teachable before he became concerned with the stuff that is transferrable. How do you know if you’ve grown stagnant in your learning? I think the easiest way to identify stagnation is to see if you’re simply running the same play year in and year out. John Maxwell used to talk about the difference between growing leaders and stagnant leaders this way: you can either have ten years of ministry or one year of ministry ten times. If you desire to aspire to develop leaders in ministry, you have to begin with yourself and your commitment to learning. Those reliable people were to pay it forward and pass the baton. I know it sounds cheesy, but let’s be honest. We’re having this discussion today (2,000 years later) because Paul’s strategy worked. So who do you trust with what you value? That’s the content of the next four verses that I’ll deal with tomorrow. Until then, be strong in grace; be a student; and be a steward of what has been entrusted to you. What is church supposed to be about anyway? That question has fostered everything from constructive dialogue to fistfights in church parking lots. An ocean of ink has been spilled on books published with the intent to provide “the” angle that resolves all debate and ends all discussion. Some would say the purpose of the church is to care for the sheep. After all, the church is led by shepherds who are to feed and care for the flock. Others would say that the church exists to spread the gospel through evangelism. Jesus first words were “repent” and his last words were “go.” That translates into making converts for Jesus! Or was it disciples? You know what I mean. Then there is the group that suggests that the church needs to meet the needs of the poor and the disadvantaged. Feeding the poor, clothing the naked, providing shelter for those with no roof is what Jesus said the final judgment would consist of. 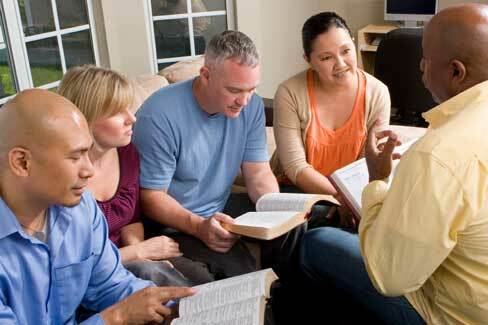 Another group would say that the church exists to teach people the Scriptures. Strong Bible teaching and preaching is what the church should focus on. The church should produce people who know the Bible and how to defend the truth. I think all of these suggestions are beneficial and contain some element of truth, but ultimately each one falls short of Jesus’ vision of the church. This weekend I spoke on this topic from 2 Timothy 2:1-6. In short, the New Testament advocates a church that develops and releases spiritual leaders who minister to those in need, are actively sharing their faith, who strive to seek justice in their communities and world, and who are able to feed themselves from the Bible and in turn, teach others. To use a simple analogy, the church is not a hospital for sinners and saints. The church is more akin to a medical school that trains and equips doctors to be the presence of Christ. If we can get that distinction down, we can become the church as Jesus intended. No one likes to attend a meeting that is a huge waste of time. If you’re like me, you’ve sat through plenty of those. Good meetings are generally those which conclude with something definite accomplished. Everyone feels like the ball has been advanced down the field and that the team is pointed in the same direction. Much of the burden for the success of the meeting is placed upon the shoulders of the leader. Many leaders know how to conduct smooth meetings but not effective meetings. One of the blogs I follow is Michael Hyatt.com. Though Michael has recently stepped down as CEO of Thomas Nelson Publishing, he continues to blog daily and today’s post on how to lead effective meetings is one of his stronger posts. You can find the article here. Enjoy! So what happens when God reveals himself to us and we see ourselves as we really are? Isaiah experienced two things that each one of us can experience when we worship. The first thing he experienced was transformation. Reading on in the text, the Bible says, “Then one of the seraphim flew to me with a burning coal he had taken from the altar with a pair of tongs. He touched my lips with it and said, ‘See, this coal has touched your lips. Now your guilt is removed, and your sins are forgiven’” (Isaiah 6:8-7, NLT). At that precise moment Isaiah’s life was changed. Worship should be a transforming experience. How can you see the God of the universe and not be changed? I believe there is a big difference between genuine worship and church attendance. One of the ways we can tell the difference is in what I call “the parking lot test.” If you walk out of a corporate worship experience no different than when you walked in, then one of two things are true: either you’ve not met God in worship or you’re in disobedience; unwilling to respond to the God who has revealed himself and yourself to you. But if you leave your place of worship having responded to God’s self disclosure, then you’re in business. The responsibility is on you. Worship leadership is about creating opportunities and environments where you can encounter the living God. Whether you worship or not is up to you because only you can see God for you and only you can respond to God for you. God not only transforms our lives in worship, He also invites us to participate in his Kingdom mission. “Then I heard the Lord asking, ‘Whom should I send as a messenger to this people? Who will go for us?’ I said, “Here I am. Send me.’ And he said, ‘Yes, go, and say to this people, Listen carefully, but do not understand. Watch closely, but learn nothing. Harden the hearts of these people. Plug their ears and shut their eyes. That way, they will not see with their eyes, nor hear with their ears, nor understand with their hearts and turn to me for healing’” (Isaiah 6:8-10, NLT). Worship is about more than, “now go keep your lips clean.” It’s also an invitation to go and tell others what God is really like. God gave Isaiah a specific message for the people of that day. What is God saying to you that he wants to say through you? If you’re looking for a definition of worship I would say that worship is my appropriate response to the revelation of God. When we worship we will experience transformation and receive God’s invitation to participate in his Kingdom work. So keep your heart open. Be pliable and teachable. Respond to what God discloses and allow him to change your life. Then go be a part of his Kingdom mission. Whenever God reveals himself in worship we catch a glimpse of what God is really like. When we see God as He is we then see ourselves as we really are. We become self aware with HD clarity. That was Isaiah’s experience when he saw the Lord. Check the next verse in the story: “Then I said, ‘It’s all over! I am doomed, for I am a sinful man. I have filthy lips, and I live among a people with filthy lips. Yet I have seen the King, the LORD of Heaven’s Armies'” (Isaiah 6:5, NLT). The revelation of God leads to the realization of what we are really like. God had revealed himself to Isaiah as the holy and exalted King. Because of that, Isaiah had to come to terms with his own sin and the sin of the people. I don’t believe that Isaiah’s reference to the sin of the people suggests that he is claiming to be better than others with filthy lips. After all, it’s wasn’t a clean lips competition. For Isaiah to claim to have the cleanest lips in town would be like bragging about being the skinniest kid at fat camp. God’s self disclosure is like seeing your reflection in a mirror. When you look in the mirror, you see what you really look like. The mirror tells no lies. When we see God as He really is then we see ourselves as we really are. Sometimes I think we forget that element of worship. We want to “see the Lord” in worship, but we don’t expect to see ourselves for what we really are. So what do we do with this realization? I’ll take up the next element of worship in tomorrow’s post.